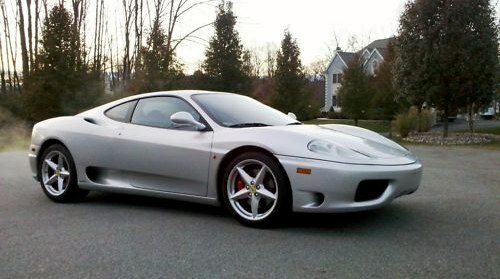 Another Ferrari 360 Coupe that went for an incredible price. 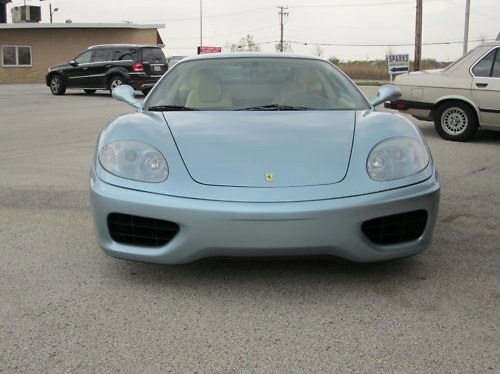 This is a 2000 Ferrari 360 F1 Coupe with recent service according to the auction description. It’s a great color combo (arguably the ONLY color for a Ferrari) with red exterior and tan interior. I like the Ferrari 430 wheels, plus it has a Challenge Exhaust. Under 27k miles on the odometer. A gorgeous car to say the least. Introducing the 2000 Ferrari 360 Coupe F1. Have you been dreaming of owning a gorgeous Ferrari but did not want to pay the new car price or get harassed at a dealership? Here is your chance to own this 360 Coupe at a huge discount to a new one and without the stress! This esteemed vehicle is the true definition of power, durability, precision, and dependability, it has a CD Changer, Ferrari Fender Shields, Power Seats, F430 Wheels, Challenge Exhaust AND FULLY SERVICED This eye-catching Ferrai is a gorgeous Red with a Tan leather interior. The color combination is stunning as this vehicle waits to take you anywhere in style. You will also have a piece of mind as this 100% Carfax certified vehicle. No accident or damage history, all parts are original, and extended warranty programs are available. 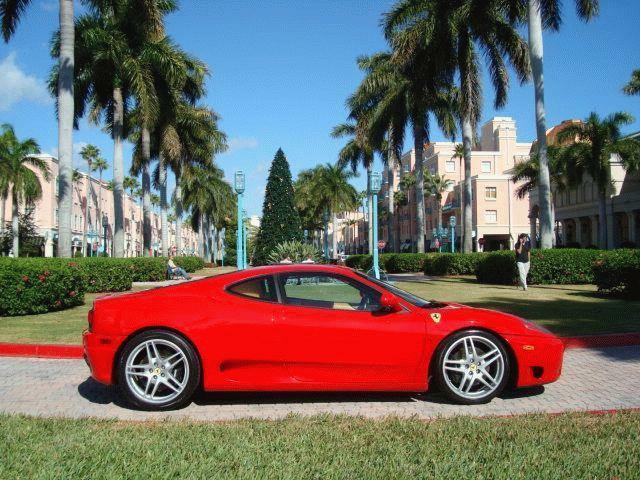 You are worry-free when bidding on this beautiful Ferrari 360 Coupe F1. Look at the pictures below and judge for yourself how nice it looks. This fantastic Ferrari will definitely impress your family, friends, and neighbors. This is your chance to own a 360 Coupe F1 at a price you’ve always heard about through the internet. Reserve was not met when the auction ended at $65,000. The thing is, the Buy It Now price was just $71,900. The car has a SOLD logo over it, so maybe it ended early. Great looking car, especially if it included service history and proof of recent service. Lots of deals to be had on eBay, Craigslist, local ads, etc. 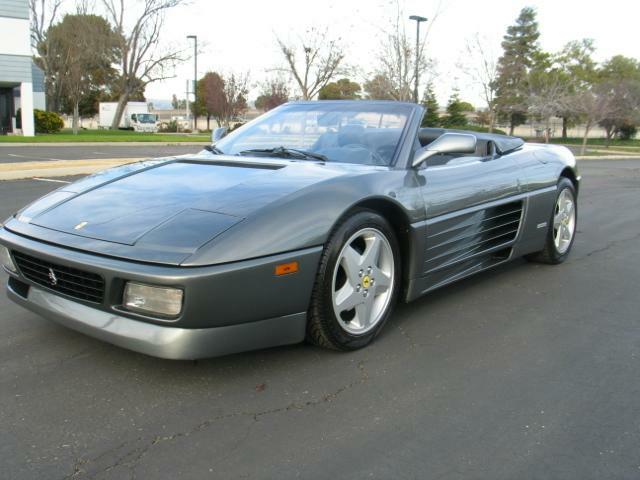 This is a great looking 1994 Ferrari 348 convertible that appears to be in great condition. Comes with all of the accessories, toolkit, etc. Only 18202 miles on it, which is about half of what most of the 348s we see have on them. Exterior color is gray/blue color called Grigio Grantino with blue interior. I love the color of the car and could live with the interior. 1994 FERRARI 348 SPIDER 5SPEED, GRIGIO GRANTINO/GRIGIO BLUE LEATHER , LOW MILES, ONE OWNER, CALIFORNIA CAR, CLEAN CARFAX REPORT, ALL SERVICES UPDATED TOOLS OWNERS MANUEL ORIGINAL WINDOW STICKER, ALPINE STEREO CD IPOD ADAPTER 348 Spider The spiders built by Ferrari have always been a perfect expression of their sporting heritage. It was this very heritage that inspired Pininfarina stylists as they set about designing the spider to clothe the refined 348 series chassis. The result was a car that offered the same impressive performance as the berlinetta, with a remarkably flex-free chassis, as well as the possibility of true top-down motoring. Ferrari spiders have always epitomised the marque sporting heritage. It was that heritage that inspired the designers when they set about clothing this superb chassis and running gear. The Pininfarina-designed 348 Spider was the latest in this long and glorious line when it debuted in 1993. The two-seater 348 Spider had a steel and aluminium body. The soft-top was canvas and beautifully integrated into the car’s line, thanks to in-depth wind tunnel testing. It folded, in fact, into a compartment behind the seats using a system that didn’t impinge on either on longitudinal occupant comfort or fuel tank capacity. Its interior volumes and driver position were designed for maximum comfort given its sporty set-up. The seats and trim were a plush Connolly leather. The 348 Spider had a steel monocoque with differentiated tubular elements and a tubular rear sub-frame for the engine-suspension assembly. The suspension was independent unequal-length wishbones front and rear. It had coil springs over gas-filled telescopic dampers, and stabiliser bars. The steering was rack and pinion. The car also had self-venting disc brakes with ATE antiskid. The mid-rear 3405 cc 90° V8 engine was mounted longitudinally and punched out 320 hp. It had twin overhead cams with four valves per cylinder and a Bosch M 2.7 control unit. The 348 GTB also had dry sump lubrication, a five-speed plus reverse transverse gearbox in unit with the self-locking differential, and a single-plate dry clutch. They’ve got it listed on the dealer site for $51,888, but the auction has a Buy It Now price of $40,888. If it were me, I’d offer $36k to $37k. If you could pick it up for that, you’d have a very nice car for a bargain price. 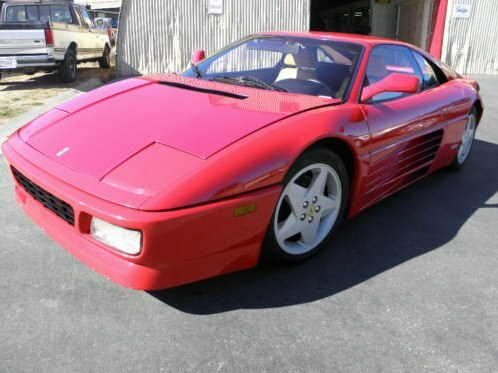 Here’s a link to see more pictures and detail: Ferrari 348 Spyder .